PlaySight© revolutionizes data tracking at all levels. This high-tech surveillance system consists of six cameras that record your game on our indoor court from different positions. Not only ball speed and spin values are measured, but also running distances as well as winner and error strokes are counted. Look after your game with or without our PBI tennis coach statistics, selected strokes and much more. 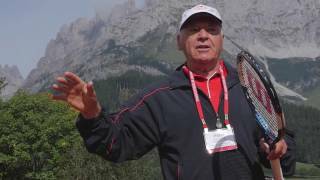 The ideal analysis to perfect your tennis! Our PBI team is looking forward to your inquiry and will be happy to provide you with further information! Tennis lessons which are not cancelled 24 hours in advance will be charged for the normal price.